Nice find! Can’t say I’ve been to the suburb before but good to know that the coffee is passable. According to your description, it sounds too standard to bother getting there. And it’s right there next to Redfern station, no way! 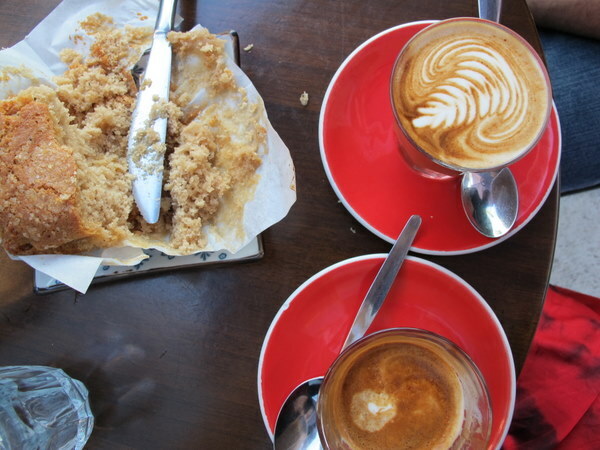 @ Howard – It was pretty good coffee. How have you never been to Redfern/Darlington? Haha yes all of those new suburbs. My MIL told me her suburb was changed from Harbord to Freshwater which sounds a lot nicer. love the coffee leaf.. i went to a small barista course at last year fod and wine show.. i now appreciate paying $3.50 for a cup of coffee hehe. Haha I am ashamed to say my latte art skills are rubbish. I appreciate a pretty coffee though, that’s for sure. 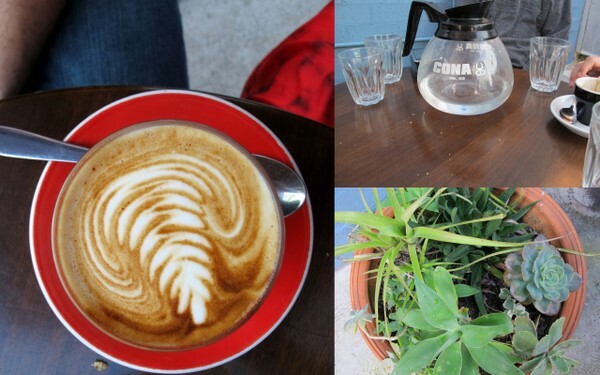 another place you’ve blogged about that looks right up my alley. heading to sydney for work in a few weeks, hoping to sneak off to a few places you’ve recommended. they look great! I just walked past here and Tripod earlier in the week en route to the Darlington (haha) Centre for some training! Alas, was unable to stop in for lunch due to having to dash for a train to head back to work afterwards. I like tripod too, it’s solid and the staff are friendly. I would say give them both a try if you ever get a chance. Darlington is a very real suburb whose existence predates the University of Sydney’s expansion to that side of city rd by over a century. The uni bought most of it in the 70’s and 80’s, which made an already small suburb (like Chippendale) seem even smaller. But Redfern Heights it is not. Much respect to Darlington residents past and present. @ the darlington prancer – thanks for the history lesson, I didn’t realise Darlington was so old.